At present, Nobels Group is focusing on expanding dairy business. Having expertise of raising beef cattle over the years, we are now able to produce beef cattle and raw milk at the same time. With a new dairy farm being built, we will operate two large dairy farms. The milking facility in Nobels dairy farm. 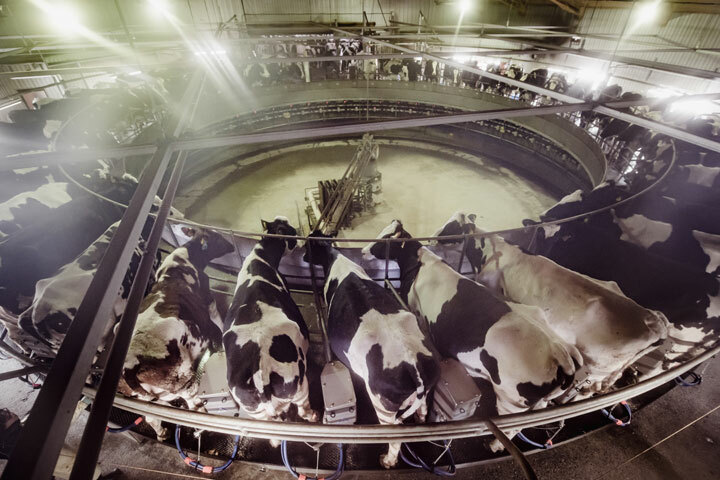 The rotary parlor accepts 50 cattle being milked simultaneously. 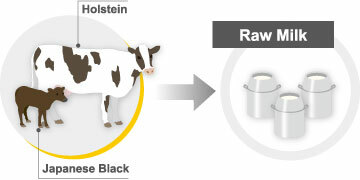 On the dairy business of Nobels Group, along with raw milk, the original method of producing embryo for the pure Japanese Black has been developed. Also, for running the dairy farms effectively, we have combined biogas plant turning waste into electricity. At the same time, we are producing liquid fertilizer for maize to achieve sustainable farming. Nobels Dairy Farm Co., Ltd. actually has acquired a certification of HACCP. From now on, we promise to maintain sanitary controls so that we keep providing quality raw milk with higher value. Daily meeting of Nobels staff members. Nobels “Dairy Farm” has been found since 2011. With our experiences in beef cattle, we’ve successfully grown quickly. Back in 2016, we’d reached 17,000 tons of raw milk. Now, we’re aiming 20,000 tons per year. In addition, a new dairy farm will be built. By 2020, the two gigantic dairy farms will surely be the biggest in Hokkaido with 8,000 milking cattle producing 80,000 tons of raw milk.